Water was spraying all over Saturday morning at the Crawford County Fair. Photo by Don Tudor. 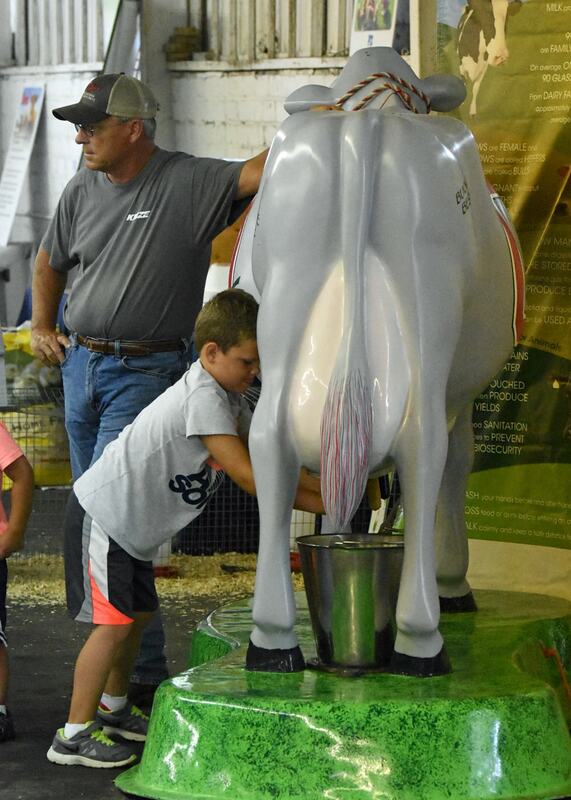 Youngsters could learn milking on a make-believe cow at the Whetstone Merchants Building at the Crawford County Fair. Photo by Don Tudor. 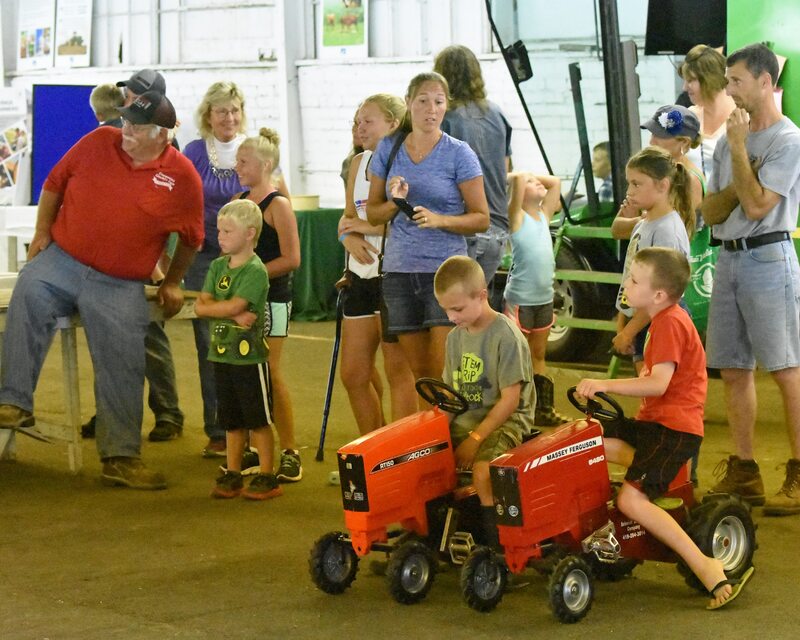 The pedal tractor pull was moved inside Saturday morning at the Crawford County Fair, but that didn’t bother the youngster who participated. Photo by Don Tudor. 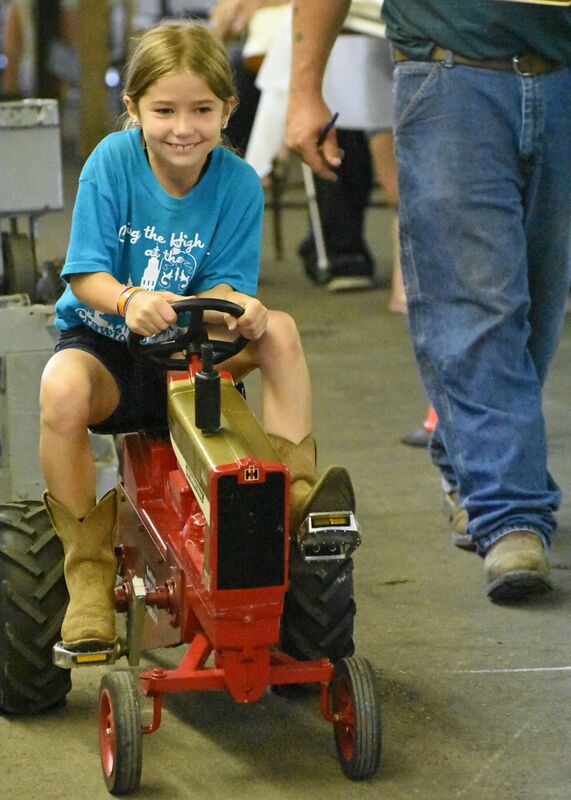 Youngsters wait their turn at the pedal tractor pull Saturday morning at the Crawford County Fair. Photo by Don Tudor. 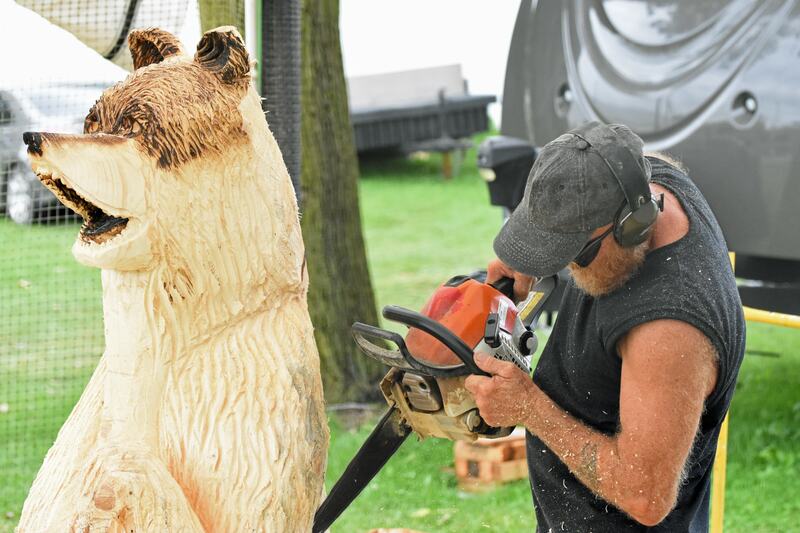 The chainsaw-wielding woodcarver asked a stump to bear with him as he revealed its true nature Saturday at the Crawford County Fair. Photo by Don Tudor. 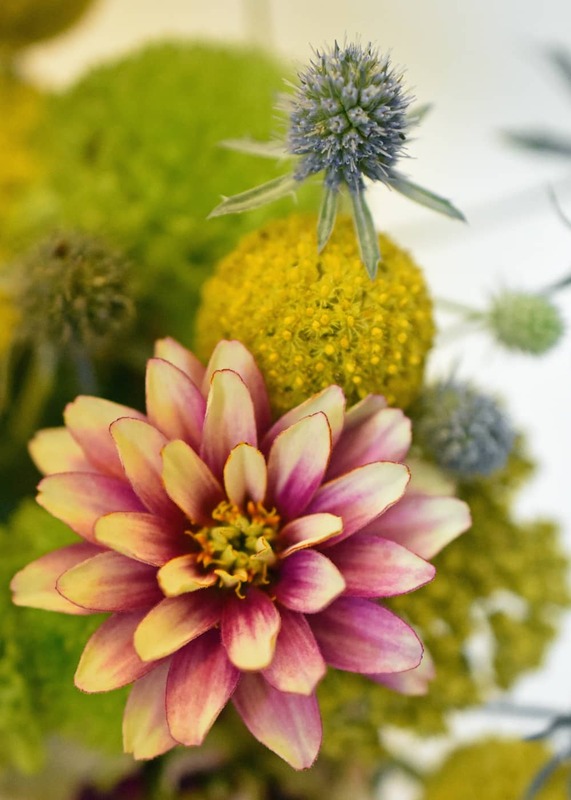 The flower show was full of color at the Crawford County Fair. Photo by Don Tudor. 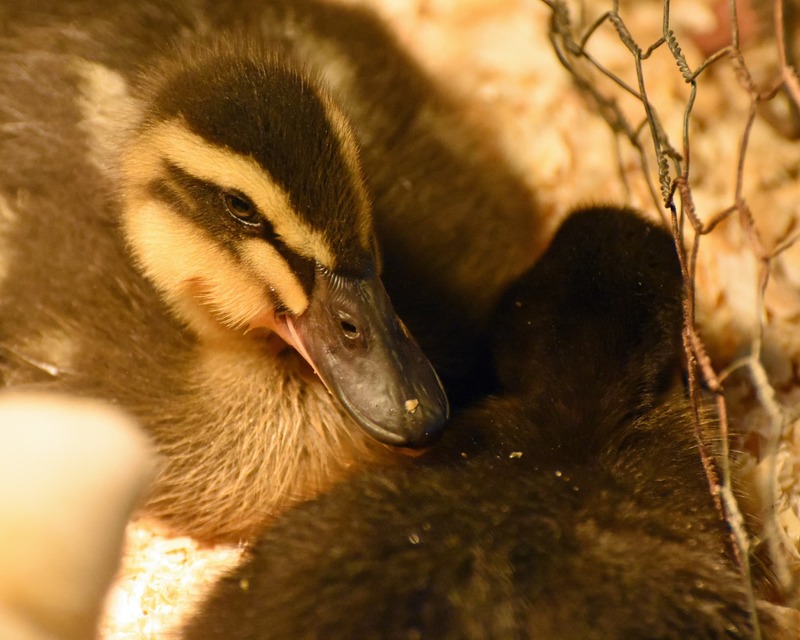 Ducklings and chicks relaxed under the warm glow of a heat lamp at the Wynford FFA’s baby animals display at the Crawford County Fair. Photo by Don Tudor. 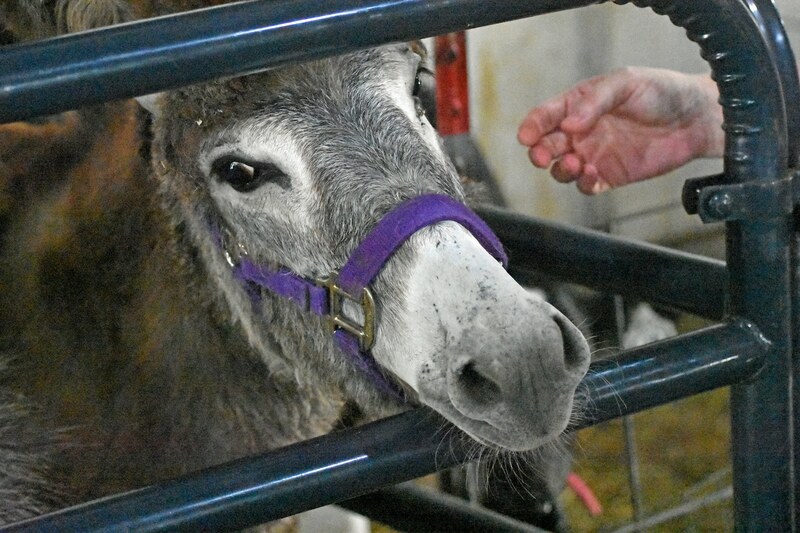 A young donkey prepares to be petted at the Wynford FFA’s baby animals display at the Crawford County Fair. Photo by Don Tudor. 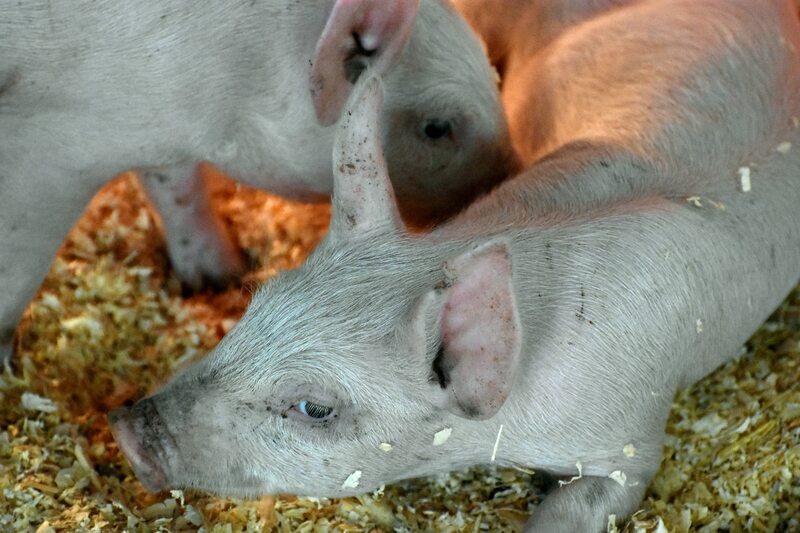 Piglets relax after rough-housing at the Wynford FFA’s baby animals display Saturday at the Crawford County Fair. Photo by Don Tudor. 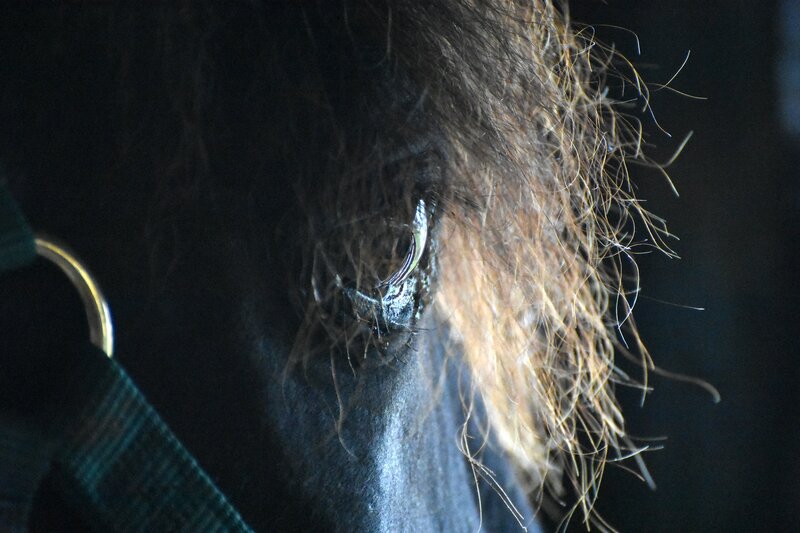 Rocky, a Tennessee walking horse, stares wistfully out of his stall Saturday, perhaps sad that the Crawford County Fair was ending. Photo by Don Tudor. 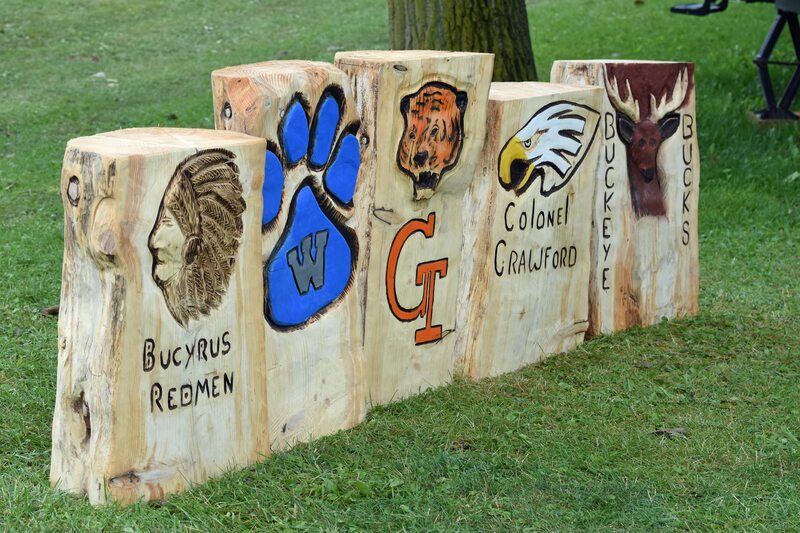 Several of the area school districts were highlighted by the chainsaw woodcarver at the Crawford County Fair. Photo by Don Tudor. 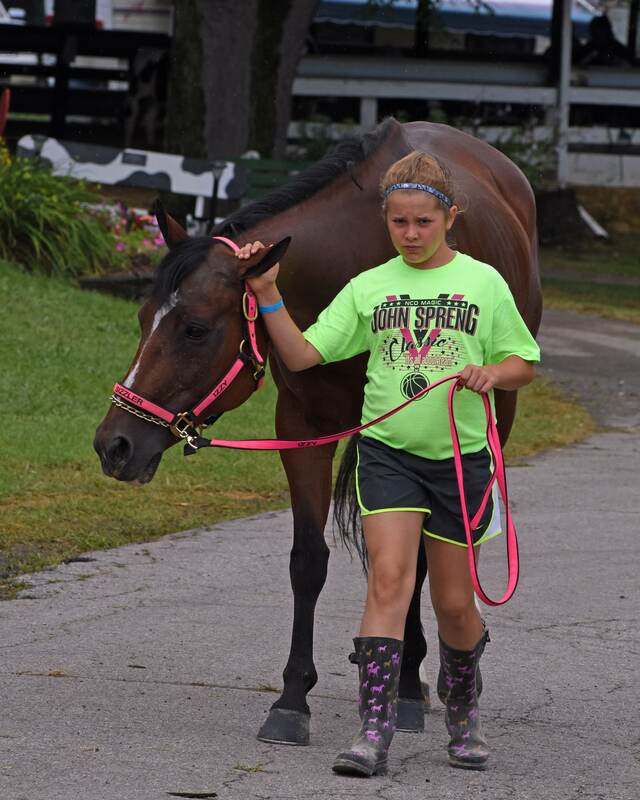 Saturday morning was a good time for a stroll at the Crawford County Fair. Photo by Don Tudor.